Stormblood is a really good expansion guys! I laughed at that for far too long. Oh my god, that's terrible. I love it. 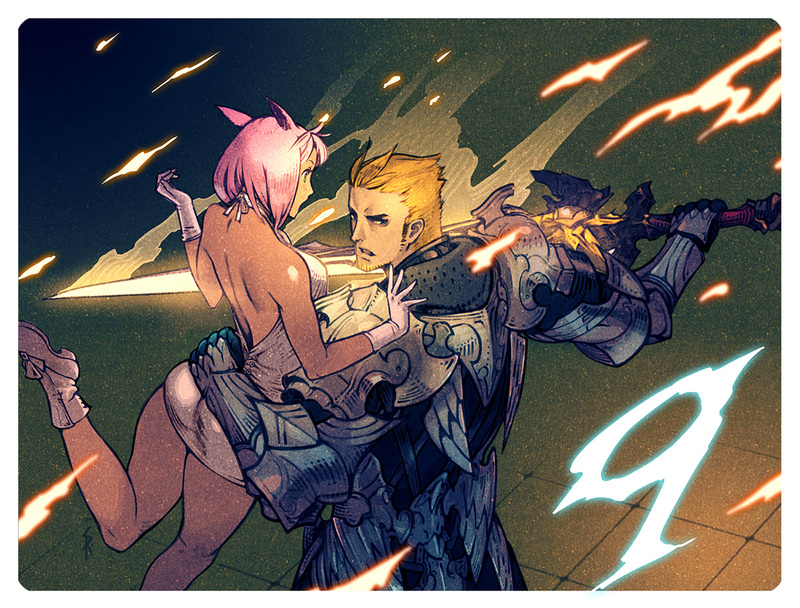 As selfish as it is, I dropped FFXIV because PLD was in such a bad spot doing "Before the Fall" next to WAR, and it just got worse as time went on once DRK was added in turn. So seeing PLD now in such a good spot makes me REALLY want to get back into it. Well, It was sort of a case of turnabout being fair play. At launc of 2.0 Paladin was so much better than warrior people literally had no reason to run a warrior, period! At least during HW paladins were viable, they just weren't the 'meta' choice. Pfft, yeah. This is line with what the forum peeps have been saying. Seems like I have alot to learn. Coincidentally I just bought the game today Seems like I have alot to learn. Tanking is in general kind of rough in normal dungeons, but man did they make aggro-holding easy for 8man stuff! Two tanks through provoke and shirk can generate infinite aggro without even actually attacking. I've heard about that weird fractal shirk thing, that sounds hella cool. Upheavel is the new fell-cleave tho ya know for that rare moment when you aren't getting smacked in the face. BUT HEY at least it isn't Monk which altho I will get to 70 first I dislike overall in this expansion in terms of our "new" abilities. 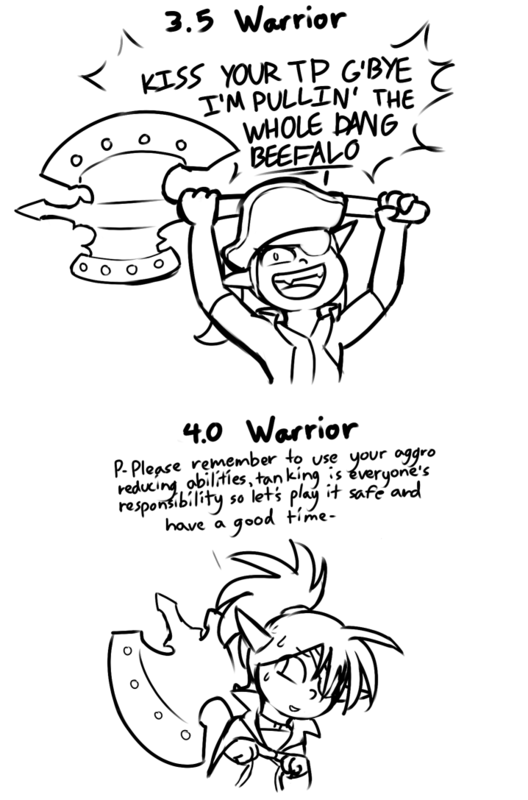 the worst tanks in ffxiv. I can't stand anyone who does small pulls, hence why I main tank and heal than queue up with a friend on the opposite roll and pull the entire dungeon including the newer stuff xD. As long as they don't "LEEEEEROOOOOY JENKENS!!!!!" the pulls I'm happy. That makes me feel sad for her. ._. UGH! 4th edition, my most despised version of DnD EVER! Kas and Kumori need to go adventuring again. Been waiting for the lolifell keyword. :3 Don't worry, my shotafell summoner picked up that aggro-dumping role ability day one, it's a godssend in dungeons where my AoEs bring all the mobs to the yard. And by yard I mean my HP bar. I had put the game down at 3.1 not long after getting a DRK to 60, and after coming back in 4.0 to hear what's been happening with all the tank jobs, I think i'll just go back to being a SMN until things settle down..maybe.